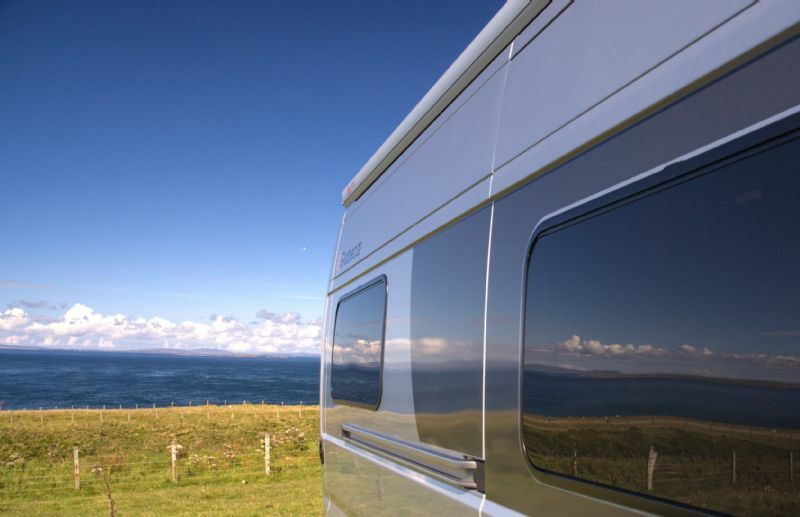 We are very fortunate that we often get to hear about our customers fantastic trips away in our motorhomes and we know many of you capture spectacular views and memories on cameras and phones. 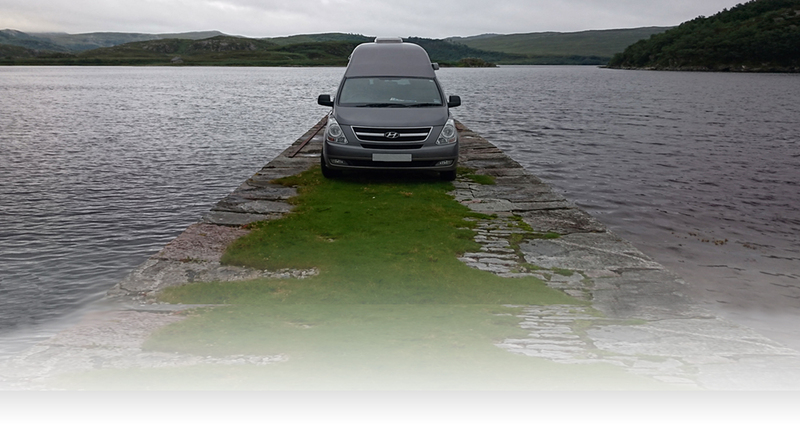 We want to encourage our customers to share their experiences and show off the amazing scenery the Highlands and Islands has to offer, so we are running a fabulous photography competition! 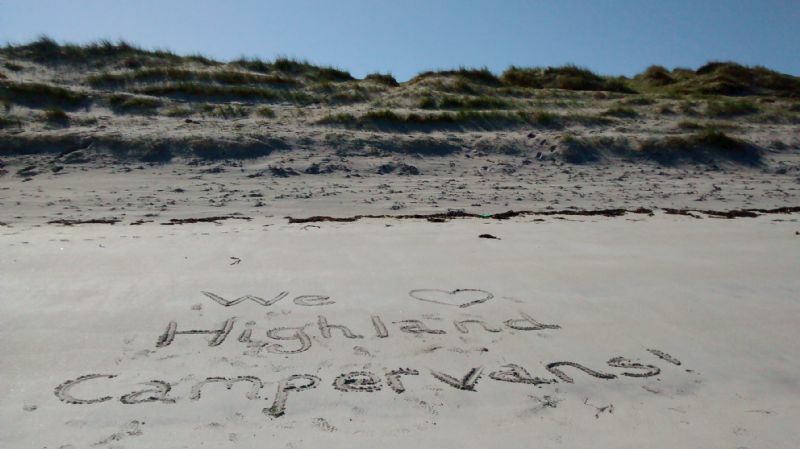 Quite simply, after (or during) your holiday, please email us the best photos from your journey to bookings@highlandcampervans.com. Each customer can enter up to three photos (so yes each family member can choose their own best photos!). Please send us the highest quality image possible - but as our broadband can't cope with more than 5MB per email - you may need to send us multiple emails. We will put all the photos together on our website in a gallery for all our customers to see and we will do this as they are entered into the competition. In November the photos will get judged by a professional photographer who will shortlist the top three photos. These will then go onto a Facebook public vote. The photo with the most likes on the closing date will be our winner! 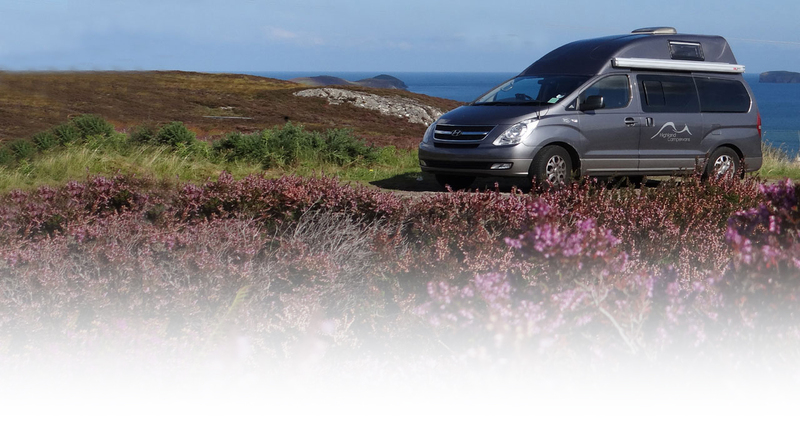 The winner will receive a weekend hire in one of our motorhomes (Friday – Monday). Please note terms and condition apply - Please see the terms and conditions below. 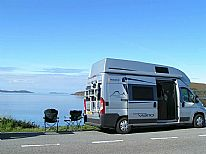 The photo must have a campervan, motorhome or have a Highland Campervans connection involved within the shot. The photos will be judged and voting will open to the general public. This will be announced on our Facebook page and our website. To vote for your favourite photo, members of the general public will be able to “like” their winning photo on our Facebook page. The photo that receives the largest number of likes will be the winner. By submitting a photograph, entrants grant us non exclusive use of the image for our own marketing purposes during and after the competition. We will not sell any images to a third party. Entrants retain the copyright to their photographs. Images must be the property of the entrant. Before entry, please ensure that you have full permission from everybody featured in the photograph for it to be used. If there is a child in the photograph, consent must be received from the parent or guardian before we are able to use it in our competition. Please ensure you include a statement on your email entry confirming consent has been given by the correct persons. Entrants agree to take part in competition publicity if required. There are no cash alternatives to the prize available. The prize may be transferable to a third party with prior agreement with Highland Campervans. The transferee will then be responsible for adhering to the terms and conditions. Hire dates will be subject to availability and must be used before May 2020. Excluding main Bank Holidays. Collection/return times must be agreed 2 weeks prior to the holiday taking place. A booking form along with full terms and conditions will be emailed to the winner prior to hire and must be fully completed and returned within 14 days. The vehicle must be collected and returned to our base. Upon arrival the winner must fill in and sign the motor rental agreement, which includes accepting the collision damage excess of £1000 (can be reduced to £200 for an additional £22 per day). 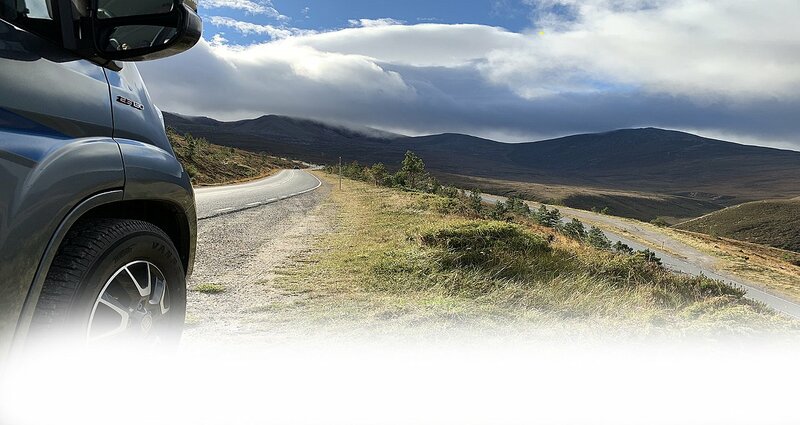 Unlimited mileage within the UK. Drivers must be between 24 and 75 years of age for standard rates. Hirers outside of these age limits will be considered only if our insurance company agrees in writing. Drivers must hold and have held a full valid UK or EU driving license for the past 2 years. Proof of identity must be provided for each driver prior to the start of the holiday. This must include their photo card driving license and 2 pieves of proof of address (utility bill or bank statement less than 3 months old).